For over a decade, Berkshire reading charity ABC to Read has supported children in Berkshire who are struggling with their reading by providing trained volunteer mentors to work with the children one-to-one. The charity has seen extremely high success rates in recent years, with their latest annual report showing an impressive 98% improvement in reading performance and 97% improvement in children’s attitude towards reading. With an increased literacy level, the children become more confident in other areas of their lives and their post-education prospects are markedly broadened. The charity has benefitted from some very generous grants over the past few months as the impact of their work has become more widely known. As a result, they are expanding their offering to train others how to do the same. The ‘Parent Helper Training Course’ is designed to allow schools to recommend their own volunteers – often parents, grandparents or Friends of the school – to be trained by ABC to Read. Once trained, these school-managed volunteers are equipped to provide one-to-one mentoring to children within the school. In this way, ABC to Read mentors are released to provide training in other schools that are on the waiting list for ABC to Read volunteers. For a limited time, the course is running at a significantly reduced fee of £50 per head to train up to 10 volunteers over two sessions with a further half day of training mid-way through the academic year. With their many years of experience, ABC to Read is a firm advocate of home-based learning and recognise the huge value of parents continuing to encourage and support their children with their reading after school. The ‘Ready to read’ course aims to give parents the confidence and basic skills required to help them support their children’s reading at home. With topics including the importance of speaking, listening and interacting with your child and why some children find reading difficult, the course is delivered by experienced trainers from the education sector. 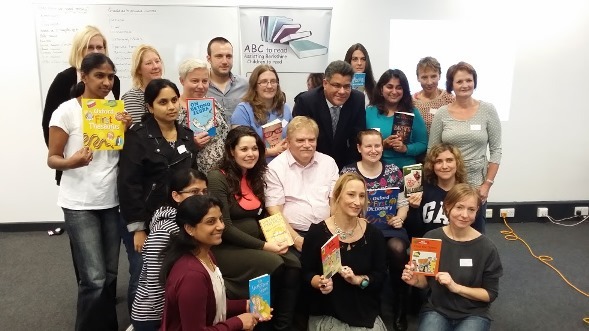 ABC to Read will continue to provide their own trained volunteer mentors to schools in Berkshire, but with these two new courses, they hope to make a much wider and longer lasting impact on the children in the local area by improving their literacy and giving them hope for their future.